* Indoor Aquatics and Fitness Areas close 15 minutes prior to building closing. ** Hours of operation for the Outdoor Aquatics Center are subject to change, without prior notice, as the C&RC deems necessary for maintenance, inclement weather and all suitable reasons for the best interest of its members and visitors. The C&RC will be closed on New Year’s Day, Easter Sunday, Thanksgiving, and Christmas Day. Special holiday hours will be scheduled for Memorial Day, Independence Day, Labor Day, Christmas Eve, and New Year’s Eve. 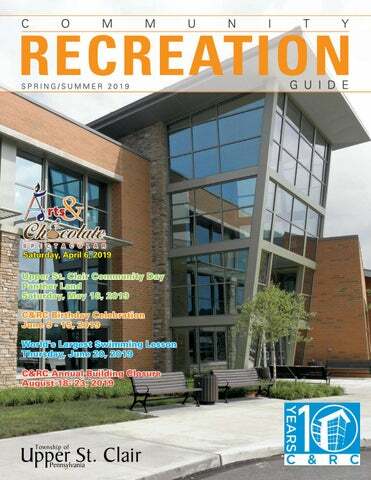 The C&RC and Township of Upper St. Clair Department of Recreation and Leisure Services offer a variety of programs, classes, and camps which require pre-registration. Several programs have a limited number of openings and are filled on a first-come, first-served basis. Please register as early as possible to guarantee a space in the desired program. How do I register? In Person At the Community & Recreation Center during normal hours of operation. Online At www.twpusc.org/crc/registration Now without additional fees! All refunds will be made according to the following guidelines: 1. Cancellations must be received prior to the first meeting day of any program unless otherwise noted. No refunds will be issued after the second meeting day for any reason. 2. Due to ordering requirements, specialty programs may have specific refund dates listed. No refunds will be given after these specified dates. 3. No cash refunds will be given. Please allow 4-5 weeks for refund checks to be processed. 4. Participants in any program cancelled by the Recreation Department will receive full or prorated refunds calculated on total program meetings. The Recreation Department reserves the right to cancel or postpone any class that does not meet a minimum number of class participants. Every effort will be made to reschedule sessions missed during a program for unanticipated cancellations. However, rescheduling cannot be guaranteed. The Recreation Department will not mail out or make phone calls for reminders or confirmation of classes. You will be notified only if there is a program change or we are unable to register you for a requested class due to a class being full or cancelled. You may call the Recreation Department if you would like to confirm your registration. Registrations for full classes will be placed on a waiting list. You will be notified, your payment will be returned, and we will contact you if a space becomes available. All listed programs conducted by the Upper St. Clair Department of Recreation and Leisure Services have been designed to be self-sustaining. Fees are evaluated periodically and are subject to change so that recreation programming may continue to be self-sustaining. In general, any additional revenues obtained from increased fees compensate for increasing program expenses. Where age or grade requirements are specified, eligibility is as of September 2019 unless otherwise noted. All Township residents and surrounding community residents may participate except where noted. The Recreation Department does not provide make up classes for participants who miss their regularly scheduled class day and time. In addition, participants may not attend another class day or time to substitute for their missed class. All non-members, program attendees, guests and visitors MUST: • Check in and sign disclaimer at Control Desk. • Provide program ‘receipt of payment’ at first class for personal training and private swim lessons. • Swim lesson participants may have a maximum of 2 adults accompany a child to the Aquatics area; siblings may also accompany adult(s) but may not use the facility amenities. • Adults accompanying children to any non-aquatic program within the C&RC should wait in the lobby. • Sample and purchase sweet treats from local chocolatiers and bakeries. • Watch live dance and music performances by amateur artists • Stroll through the student art gallery • Visit the children’s tent for craft making and face painting. Tuesday, May 7, 2019 4:00-7:00 PM Get ready for a busy summer on two wheels. Come to the Boyce Mayview Pavillion for a FREE 10-point bicycle safety inspection and bicycle fittings. Richard Hatch, lead instructor for our “learn to ride” program, will be there help children and adults get ready to ride. Bring your bicycle and your helmet and wear appropriate footwear. We’ll have information available on our learn to ride program, area bicycle-friendly trails, and basic items to have on board when you are riding. Pre-registration is suggested -- call the Recreation Community Programs Department at 412.221.1099 for more information and to schedule a time slot. Saturday, May 25, 2019 Children age 3-13 years old and their parents are encouraged to join us to learn some essential information for keeping everyone safe in and around water. Program is held both in the classroom and in the water, so bring your bathing suits! FREE for everyone! This annual event is a cooperative effort of the Upper St. Clair School district, Upper St. Clair Township, students, parents, volunteers, community groups, and various businesses and professional organizations. Food and game booths will be open in the Community Fair area from 11:00 AM-4:00 PM. The USCVFD Fire Station, Gilfillan Farm House and Farm, and the 1830 Log House will open at noon. Listed below are just some of the MANY activities scheduled for the day. For more information, please call 412.221.1099, extension 655 or visit the Township website at www.twpusc.org. 9:00 AM The 3.0 mile race will be staged at the Upper St. Clair High School, starting and finishing at the Truxton Road entrance to Panther Stadium Open to all ages—so bring the whole family (no pets please). See registration information and form on page 45 No registrations will be accepted after 8:15 AM on the date of the event. 9:30 AM Event will take place on the Founders Field Stage. Prizes will be awarded in multiple categories. All dogs will receive a participation award. Preregistration required. 10:30 AM A student-led ceremony focusing on the significance of Upper St. Clair Community Day and honoring our Armed Forces. The Upper St. Clair Athletic Association is a volunteer organization which coordinates the following athletic programs in the community: Spring/Summer Baseball and Softball, Fall Soccer, Traveling Spring Soccer, Spring Lacrosse, Spring/ Fall Flag Football, Fall Tackle Football, Winter Basketball, and Winter Wrestling. For information, please visit the Website: www.uscaasports.org. The Youth Steering Committee of Upper St. Clair is a community action group, jointly appointed by the Township Board of Commissioners and Board of School Directors. The Committee is comprised of adult residents, student representatives, and liaison persons from the appointing boards. Meetings are held the 2nd Wednesday of the month (with the exception of July/August) at 7:00 p.m. at the Community & Recreation Center. For more information, contact Adam Boucek, Chairperson, Youth Steering Committee, 1820 McLaughlin Run Road, Upper St. Clair, PA 15241. The United Senior Citizens program is a free program sponsored by the Upper St. Clair Department of Recreation and Leisure Services. Participants must be a resident of the Upper St. Clair, 55 years of age or older, and retired. Spouses of eligible members may also join even if under age 55. The program meets on Wednesdays. Morning activities are informal and include the preparation of lunch by volunteers from the group. The members hold a brief business meeting at 12:00 p.m., which is followed by the delicious meal. Afternoon activities include musical entertainment, lectures or presentations of interest, book reviews, health and fitness instruction, game days, and more! In addition, day trips to various performances and places of interest are scheduled throughout the year. 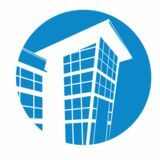 Most meetings are held at the McLaughlin Run Activity Center located at 1770 McLaughlin Run Road. Some meetings may be held at the Community & Recreation Center located at 1551 Mayview Road or at other venues. Membership information and meeting schedules (including location) may be obtained from the Townshipâ&#x20AC;&#x2122;s Community Programs Department, whose office is located in the Community & Recreation Center. Questions? Please contact Lynn Walcoff, Community Programs Coordinator, via email: walcoff@twpusc.org or by phone: 412.221.1099, extension 655. A Silver Card is free and available to any residents of Upper St. Clair age 62 or older. Applications are available at the Community & Recreation Center. Proof of age and residency must be submitted at the time of application. Applications for the Port Authority Senior Citizen program and ACCESS Transportation are available at the Community & Recreation Center. Application must be made in person at the C&RC Monday through Friday 8:00 AM- 4:00 PM. Proof of age (65 and up) and Allegheny County residency (access only) is required at the time of application. Every Individual Should Know Life-Saving First Aid. E-mail or call the Tri-Community South EMS office Monday through Friday, 8:30 AM to 4:30 PM at 412.831.3710 for information on dates, fees and locations or to register for a class. The Township’s Three Hole Golf Course is located on McLaughlin Run Road. Access for play begins adjacent to the Tennis and Golf Administration Building (TGAB), 1750 McLaughlin Run Road. The building is staffed daily from 8 AM until 10 PM, and ALL golfers must check in with the supervisor on duty prior to playing. Golfers under the age of 10 must play with an adult. The course will be open until mid-October, as weather conditions permit. Players are expected to replace divots and ball marks and to leave the vicinity of the green after putting out. Four players are permitted in a group (maximum of four balls per player at any time). At the Tennis and Golf Administration Building, golfers may pay a per-round fee or purchase a 10-round punch card (10 three hole rounds with no expiration date). Payments may be made by credit card, check, or money order. No cash, please. Township Resident Silver Card Holders may play at no charge but must check in before playing. Adult - $6 Adult - $7 *Ages 15 and under are eligible for the Junior Rate. Tennis, anyone? The Township has 10 courts at Municipal Park, two courts at Baker Park**, and one court at each of the following: Byrnwick Park**, Hays Park**, Johnston Park**, and Trotwood Park**. ** Permits are not required for play. Municipal Court Play The Municipal tennis courts along McLaughlin Run Road will open officially for the outdoor season on May 1. The courts are open from 8 AM until 10 PM every day. Clinic walk-on time does not apply during the outdoor season. Reservations for court time may be made on the day of play only. Payment for hourly time must be made at the Tennis and Golf Administration Building (1750 McLaughlin Run Road) prior to play. Payments may be made by credit card, check, or money order (no cash). *Ages 15 and under are eligible for the junior rate. We are a nonprofit resident group run by a committee of volunteers with the assistance of the Recreation Department. Our purpose is to organize sessions of tennis for Upper St. Clair residents of all abilities to play with a variety of partners and opponents. There are four (4) sign-up sessions per year for different days/times of the week for different game levels: • A spring outdoor session until the end of June (season permit). • A summer outdoor session until the bubbles go up in October (season permit). • Fall indoor session from October through mid- January (court fee). • Winter indoor session from mid-January through mid-April (court fee). All sessions include weekday mornings and evenings for women’s doubles, as well as weekday evenings and weekend day times for men’s doubles. Mixed doubles or men’s and women’s singles games can be set up on Tuesday and Friday nights if there is enough demand. In addition to organizing league play, Different Strokes holds several mixed socials each year to play and socialize with other league members. Cost for joining is $10.00 for individuals and $16.00 per couple. If interested, please contact Gina Braun at 412.221.5717. Join any time! Tennis instruction is provided by the Upper St. Clair Tennis Development Program (USCTDP). Spring and summer program information can be found on pages x-x and at www.usctdp.com. Questions? Please call 412-831-2630. Private lessons are available to both juniors and adults for $55 $70 per hour. Juniors who wish to participate in privates must be enrolled in clinics. Direct questions to Janice, Augie or Sandra at 412.831.2630. Our Junior Summer Travel Team package is one of our most valuable development tools. Whether players are Level 3, 4, or 5, the combination of camps and matches against other clubs have always produced remarkable improvement in their tennis skills as well as providing match experience. All clubs that we play are less than a one-hour drive. Car pools are arranged for away matches. For more flexible scheduling during the busy summer season, we are offering two levels of commitment. We hope having this option will enable even the busiest summerfun seeker to enjoy the benefits of the Traveling Team. Call 412.831.2630 to have information sent to you. Date(s): June 17 – August 23, 2019 (10 week rolling admission) Fee(s): Two pricing options available: pay per day or register for 10 days or more. Please call 412-831-2630 to register. 10 Days or Level Day/Time Per Day Fee More 3.0 Monday & Thursday $36 per day $32 per day Orange Ball 11:00 AM- 12:30 PM 3.5 Tuesday & Thursday $40 per day $36 per day Green Ball 11:00 AM- 1:00 PM 4.0 & 4.5 Monday, Tuesday, $46 per day $42 per day Yellow Ball & Thursday 11:00 AM- 1:30 PM 5.0 & 5.5 Monday, Tuesday, $46 per day $42 per day Thursday & Friday 2:30- 5:00 PM Save 10% when registering for 10 or more days. Boys and Girls Singles- 14’s, 16’s, 18’s Date(s): July 8 - 11 Fee(s): Contact USCTDP for more information Entry deadline is July 1, 2019. This tournament is a sanctioned USTA event for Allegheny Mountain District Rankings. For more information, go to www.usta.com. Entry forms are available at the tennis courts. Phone and fax entries are accepted with a credit card payment. Please enclose copy of USTA card. You may also register online at www.usta.com. Information will be available this Spring and Summer. Call 412.831.2630 for details. For more information regarding all USCTDP programs please call (412) 831-2630 or visit www.usctdp.com USCTDP programs participants may register online at www.usctdp.com or use the registration form on page 46. Monday 3:30 – 4:30 pm or 6:00 – 7:00 pm, Friday 6:00 – 7:00 pm, Sunday 11:00 am – 12:00 pm or 12:00 – 1:00 pm Orange - Pre Rally Player (Ages 8 and up) - Someone who is brand new to tennis or returning player Orange is the platform of ROGY at USCTDP. This clinic is designed for the new and returning tennis. The Orange platform is played on a 60’ tennis court that uses a low 50% compression tennis ball. Movement, balance, receiving/sending skills, and stroke production are emphasized along with basic rallying skills. Children Children will will learn learn the the basics basics ofof tactical tactical play play from from the the 60’60’ court court forfor both both singles singles and and doubles. doubles. Swing Swing rhythm rhythm onon the the forehands forehands and and backhands backhands will will bebe emphasized. emphasized. The The children children will will bebe introduced introduced toto topspin topspin and and will will learn learn how how toto differentiate differentiate between between a volley a volley action action and and a groundstroke a groundstroke action. action. A variety A variety ofof serve serve progressions progressions will will bebe taught taught and and the the serve serve and and return return ofof serve serve will will bebe covered covered in in each each class. class. Monday/Friday Monday/Friday 4:30 4:30 – 6:00 – 6:00 p.m., p.m., Saturday Saturday 2:00 2:00 – 3:30 – 3:30 p.m. p.m.
Children Children will will bebe exposed exposed toto a full a full range range ofof technical/tactical technical/tactical development. development. AllAll court court tennis tennis will will bebe emphasized. emphasized. The The program program will will focus focus onon drills drills that that develop develop movement, movement, recovery recovery and and decision decision making making skills. skills. Situational Situational and and competitive competitive play play in in the the five five play play situations situations will will bebe planned planned in in the the curriculum. curriculum. This This is is the the final final development development stage stage before before the the children children enter enter the the Junior Junior Competitive Competitive Program. Program. Monday/Tuesday/Thursday/Friday Monday/Tuesday/Thursday/Friday 5:00 5:00 – 7:00 – 7:00 p.m. p.m. and and Saturday Saturday 2:00 2:00 – 4:00 – 4:00 p.m. p.m. Improve Improve stroke stroke mechanics mechanics and and consistency, consistency, footwork footwork and and anticipation. anticipation. Learn Learn sound sound match match play play tactics. tactics. Monday/Tuesday/Thursday/ Monday/Tuesday/Thursday/ Friday Friday 3:00 3:00 – 5:00 – 5:00 p.m. p.m. oror 5:00 5:00 – 7:00 – 7:00 p.m. p.m.
Level Level4.0 4.0and and4.5 4.5(Tournament (TournamentLevel) Level)(Tournament (TournamentPlayer PlayerororHigh HighSchool SchoolTennis TennisPlayer) Player)AGES AGES1010- 18 - 18 Improve Improve mechanics mechanics forfor allall strokes, strokes, footwork footwork and and conditioning, conditioning, develop develop consistency consistency and and improve improve shot shot making. making. Monday/Tuesday/Thursday/ Monday/Tuesday/Thursday/ Friday Friday 3:00 3:00 – 5:00 – 5:00 p.m. p.m. oror 5:00 5:00 – 7:00 – 7:00 p.m., p.m., Saturday Saturday 12:00 12:00 - 2:00 - 2:00 p.m. p.m. Improve Improve match match play play performance performance with with emphasis emphasis onon footwork footwork and and conditioning, conditioning, match match play play tactics, tactics, mechanics, mechanics, mental mental toughness toughness and and sportsmanship. sportsmanship. Monday/Tuesday/Thursday/ Monday/Tuesday/Thursday/ Friday Friday 3:00 3:00 – 5:00 – 5:00 p.m. p.m. oror 5:00 5:00 – 7:00 – 7:00 p.m., p.m., Saturday Saturday 12:00 12:00 - 2:00 - 2:00 p.m. p.m. Please like us and follow us on Facebook to get the latest cancellations and make up postings. This class is played on a 36’ court while using a red ball. Students in this class have tested out of Pre Rally Player and have the ability to sustain a rally. In this class there is emphasis on shaping the strokes as well as learning different types of spins. The overhead serve is introduced, rally tactics and strategy are learned and directional control of the ball will be emphasized. Students are also encouraged to compete in tournaments. Monday 6:00 – 7:00 p.m., Wednesday 11:00 – 12:00 noon, Wednesday 6:00 – 7:00 p.m., Friday 11:00 – 12:00 noon, Saturday 11:00 – 12:00 p.m.
Orange is the platform of ROGY (red, orange, green and yellow balls) at USCTDP. This clinic is designed for the new and returning tennis. The Orange platform is played on a 60’ tennis court that uses a low 50% compression tennis ball. Movement, balance, receiving/sending skills, and stroke production are emphasized along with basic rallying skills. Monday 6:00 – 7:00 p.m., Wednesday 11:00 – 12:00 noon, Wednesday 6:00 – 7:00 p.m., Friday 11:00 – 12:00 noon, Saturday 11:00 – 12:00 p.m.
SPRING & SUMMER Cardio Tennis Adult Level 1 Clinic Novice Mon. Wed.
11:00 - 12:30 p.m. 9:00 - 10:30 a.m.
9:00 - 10:30 a.m. 7:00 - 8:30 p.m.
12:30 - 2:00 p.m. 9:00 - 10:30 a.m.
10:30 a.m. – 12:00 p.m. Advanced 7:00 – 8:00 p.m.
Spring TRX- April 22 – May 19, 2019 Wednesday 11:00 –12:30 p.m.
Summer TRX - June 17 – July 11, 2019 Thursday 8:30 – 10:00 a.m. Sometimes programs get cancelled because people waited too long to register. Please register early to avoid disappointment. Age 6 and Up “Life is like riding a bicycle. To keep your balance, you must keep moving.” -Albert Einstein. We are going to make learning, or re-learning, to ride a bicycle simple, safe and fun for all. All participants need to bring is a bicycle (NO TRAINING WHEELS), a helmet, water bottle, and enthusiasm. In only days, our friendly and knowledgeable instructors, Richard Hatch and assistants, will teach bicycle riding skills and safety from the ground up. Sessions are one-on-one lessons. It’s a great opportunity for parents to step back and let us get children ready for fun on two wheels and for families to prepare for group outings. Makeup classes will be arranged as necessary if weather or other circumstances preclude attendance on a given day. Location: Gravel Parking Lot across from ballfields at Boyce Mayview Park unless otherwise notified. $105 Member/ $110 Non-Member* *For additional instruction, individual classes can be purchased at $25 per class Please choose (1) time slot (A, B, C, or D) and (1) session at time of registration. Additional sessions will be available through October. Details available in August. Any questions concerning the dog’s temperament and ability to be in a class situation should be directed to Storm before registering: 412-221-1099, extension 622. All puppies and dogs must have current rabies inoculation and other necessary shots. Training is for dogs three (3) months of age or older. Please complete the required information form (available at time of registration) at least one week prior to the start of class. Should I Hug My Cat: A Lesson in Cat Behavior! These opportunities are FREE for all older adults (age 55 and older), both USC residents and surrounding community residents. No C&RC membership required. Location: Community & Recreation Center unless otherwise noted. Five Hundred? Bridge? Mah Jongg? Jigsaw puzzles? Tripoley? Grab your friends or make new ones as you play the afternoon away. April 26, May 24, 1:30 PM-3:30 PM Get ready for Summer Fridays – ENTERTAINMENT DAY June 21, July 19 & August 16 and GAME DAY June 28, July 26 & August 23. Location and times to be determined. Optional off-site activities on Tuesdays and Thursdays are planned; schedule, locations, and fees will be available on or after May 17 on the camp calendar. No transportation will be provided unless otherwise noted. We will be indoors and outdoors; make sure your child wears sneakers and outfits in which they can play. Please NO dresses, skirts, flip flops, or Crocs. •	The	program	runs	for	five	weeks	with	the	option	to	choose	which	weeks	as	well	as	the	number	of	weeks	your	child	attends. Attention teens! Join our Counselor-In-Training program today if you are looking for an experience with campers and may want to become a counselor in the future. Our CIT program is designed to mentor youth between the ages of 13-16 on how to become a knowledgeable, responsible counselor! CITs will be responsible for assisting campers, administering games and activities and creating a fun and engaging environment for ALL campers. CITs will be given positive feedback from counseling staff to help develop their leadership and communication skills, teaching techniques, and group dynamics. The CIT program is competitive and requires each candidate to apply, interview, and, if selected, attend a training session prior to the start of camp. To be considered, applicants are required to complete an application prior to May 15. Applications are available at the Recreation Office at the Community & Recreation Center at Boyce Mayview Park. Location: Baker Elementary School/Boyce Mayview Park Note: Only 30 applicants will be accepted. The sooner you apply, the better your chances are to select the session that works best for you. Once selected, CITs are guaranteed 10-15 days of work with a seasoned counselor and a group of campers. Monday-Friday 8:45 AM-11:45 AM with possible EXTENDED DAY times until 2:45 Session I: June 18-July 3* Session II: July 8-July 19* *Maximum of 15 CITs per session Ages 13-16 entering 8th grade or higher (Children age 13 by June 18 may apply for CIT position) $35 Fee includes training, supplies, and t-shirt. At this time parents/guardians must complete and return the registration form found on page ?. Registration fee required after interview and acceptance into program. Want to be a counselor for our PAWS or Camp St. Clair campers? Applications are available at the Community & Recreation Center at Boyce Mayview Park and due no later than May 3. Are you interested in lifeguarding – but not quite old enough yet? Join our Junior Lifeguarding Summer Camp June 18-28. See page 35 details. Soccer Camps Grades 6-12 The 2019 summer soccer academies will be directed by Dr. Joseph Luxbacher. Coach Luxbacher is the former head men’s soccer coach at the University of Pittsburgh and played professionally in the North American Soccer League (NASL) and Major Indoor Soccer League (MISL). He has earned the “A” Coaching License of US Soccer and authored several books on the sport. FREE monthly clinics by USA Pickleball Association Ambassadors Lou and Sally Sherfinski and Dottie Delancey will be given on Monday 1:15-3:45 PM April 8, May 13, June 10, July 8, and August 12* *Open play not available on clinic days. FACILITY DESCRIPTION The Community & Recreation Center at Boyce Mayview Park contains a wide range of amenities and programs for the whole family. A membership or day pass is required to access facility amenities. Non-members are welcome to participate in classes and programs. Membership is open to all USC Residents and surrounding communities. Membership benefits include access to indoor and outdoor amenities, multiple group exercise classes at no additional cost, and discounted program, rental, and childcare fees. The Playroom provides childcare services to both members and visitors using the C&RC. Children age 8 weeks through 9 years old are accepted on a first come, first served basis until the maximum capacity is reached. There is a two-hour maximum time limit per visit. Monday- Friday 8:00 AM- 12:00 PM and 4:00 PM- 8:30 PM Saturday 8:00 AM- 12:00 PM Sunday CLOSED Fees: Member: $2/child/visit* Non-Member: $4/child/visit* *Childcare punch cards are also available for purchase. The C&RC offers rental spaces for Pool Parties, Birthday Parties, Bridal or Baby Showers, Family Reunions, Anniversary Parties, Graduation Parties, and Business Meetings or Seminars. All rentals (except business meetings) include a staff party greeter, access to the requested rooms as well as any amenities specified in the contract. The renter shall provide all food, paper products, table covers/linens, etc. For more information, or to schedule your next event, please contact our Facility Rentals Coordinator at 412-221-1099 x 613 or kerman@twpusc.org. Poolside party rooms are available Monday, Wednesday or Friday evenings and Saturday or Sunday afternoons. Each room has seating for 25 and a maximum capacity of 30 people (children and adults). The party package grants 20 children (and supervising adults) access to the indoor leisure pool, including the resistance channel. Use of other facility amenities, including the indoor lap pool, spa, outdoor pool, and gymnasium are prohibited. These parties are geared for children age four to eight (4-8) years old. Party package includes time in the Gymnasium with our staff doing fun activities and games, and one hour of Community Room use for up to 15 guests. Annual and three-month contracts are available for youth (age 17 and under), adults (age 18-61), seniors (age 62 and up), and families. Annual contracts are charged per month, while three month memberships are paid in full at the time of registration. For a complete list of membership rates, please visit our website www. twpusc.org/crc/crc-home. Host your next meeting or seminar in our Community Rooms. Use of the screen and projector is included. Visitors are welcome to experience amenities at the C&RC by purchasing a day pass at $12 per person. A day pass is required for anyone age 2 and over, and grants access to both the indoor facility and outdoor pool amenities. Community Rooms are rented per individual room, but two or three rooms can be combined to create a larger space. Occupancy and pricing are based on the needs of the event. A pantry kitchen is available. Our goal is to promote a safe and enjoyable environment. Please adhere to the following policies: ••	Proper swim attire is required. No cut-off shorts are permitted in the pool. ••	Infants and non-potty trained children MUST wear swim diapers with snug fitting elastic waistband and leg openings. ••	Only US Coast Guard approved life-jackets are to be used in the Aquatics Center. INFLATABLE FLOTATION DEVICES are NOT permitted. ••	Diving is prohibited at the Aquatic Center. ••	All non-swimmers and children under 48” should be within arm’s reach of a supervising adult unless in 24” of water or less. ••	Due to the high water temperature (101-104) of the spa, there is a 15-minute time limit. Please refrain from submerging your head or performing aerobic activities in the spa. • Children under the age of 10 must be actively supervised by an adult in the pool area at ALL times. •	••	Children under the age of 10 years old are NOT permitted in the Spa. Children ages 10 to 13 years old (under age 14) must be accompanied by an adult in the Spa at ALL times. During the months of the Outdoor Aquatics Center being open, mandatory rest periods will be taken at the top of every hour for 10 minutes from the hours of noon to 6:10pm at both indoor and outdoor pools (noon-4:10 for Indoor pool on Saturdays and Sundays). Please use this time to visit the restroom, check in with family, and rehydrate. AMERICAN RED CROSS GROUP SWIM LESSIONS All group swim lessons taught at the C&RC follow the guidelines set forth by the American Red Cross. When selecting a class, please refer to the prerequisite section of the skill charts listed under each age group: Parent and Child, Preschool, and Youth. All sessions include six classes unless noted as a mini session (three classes). Participants must attend the day and time in which he/she registered. The C&RC does not offer make up classes. Course Length: Approximately 7 hours, 25 minutes for online learning + approximately 20 hours for in-class skills. Please note that course times may vary to include breaks. $185 Member/ $225 Non-member* *The 2017 ARC Manual is required for all class dates. You may buy a hard copy of the book for $35 or you can download a free copy of the book at www.redcross.org. $145 Member/ $175 Non-Member* *The 2017 ARC Manual is required for all class dates. You may buy a hard copy of the book for $35 or you can download a free copy of the book at www.redcross.org. This in-person Instructor/Instructor Trainer Review Course is the required course for all lifeguarding Instructors and Instructor Trainers to re-certify. During this course, Lifeguarding Instructors and Instructor Trainers will participate in an in-water practice and polish skills session with their peers and a classroom-based review of Red Cross administrative policies and procedures. If you would like to update your basic level lifeguarding certification, you will pay an extra $40 and pass all exams/final scenarios of the lifeguarding course. Are you interested in lifeguarding – but not quite old enough yet? This two-week summer camp is designed to give 11 to 14 year olds a fun sneak peek into what it takes to become a great lifeguard. We cover all the basics and get you ready to enter the American Red Cross Lifeguarding program when you turn 15. Participants do not receive certifications in lifeguard, CPR and/or AED; however, they will receive a certificate of completion for the course. Our goal as the Fitness Department is to ensure all members and guests have the opportunity to become acquainted with all of the Fitness Department amenities. We hope that you enjoy our facility, and take full advantage of the quality services that we provide. The Fitness Area is mainly an adult driven area but welcoming to children when supervised. New Member Fitness Orientation- Receive two complimentary sessions (30 minutes to 1 hour) with a certified personal trainer. Sessions may include a fitness assessment, equipment orientation, and program design. New members will receive an application during membership sign-up. Parent and Child Orientation- an informational session (30 minutes to 1 hour) for parents and their children ages 10-13. This will provide both parent and child the basics of how to utilize the cardio equipment safely and effectively. In addition, they will review gym etiquette and fitness floor rules. Sign up for an orientation at the Fitness Desk. (Note: This is not a Personal Training Session). Introduction to Strength- is a required program for children ages 14-15, and is available to those over the age of 15. The individual will be educated on how to properly use free weights and develop a well-rounded exercise program. In addition, they will review basic resistance training, gym etiquette and fitness floor rules. Pick up an Intro to Strength application the Fitness Desk or Control Desk. Volleyball • Basketball • Lowered Hoops Fridays: 6:30 PM - 8:30 PM Saturdays: 12:00 PM - 2:00 PM Sundays: 2:30 PM - 4:30 PM The deep end of the lap pool is also open for FAMILY SWIM! PERSONAL TRAINING SERVICES Meet your goals with the help of our staff! A Personal Trainer will design a safe, effective and personalized fitness program, keep you accountable and help you maintain your motivation. A variety of training options are available. These include but are not limited to one-on-one training, semi private training or small group trainings. Select an option that allows you to reach your goals! THE ROOTED TREE STUDIO Welcome to The Rooted Tree Mind Body Studio. We offer a variety of Yoga, Yoga with HIIT, Pilates practices, including Pilates Reformer, PIYO, Barre, Foam Rolling, and Meditation to suit all of your needs and fitness levels. Let our certified instructors guide you through a safe and effective workout in the tranquil surroundings of our cozy studio. Session IV: April 1 – April 28 Session V: April 29 – May 26 Session VI: May 27 – June 23 (No class 5/27) Session VII: June 24 – July 21 (No class 7/4) Session VIII: July 22 – August 17 Building Closure (No Class): August 19 – August 24 Group Exercise Free Trial Week: August 26 – September 1 All land and water-based group exercise classes (excluding Pilates Reformer I and II) are free for C&RC Members and Non-Members. Class space is limited. Take any number of yoga classes for one flat rate of $30. Upon purchase, participants will receive a pass good for 30 consecutive days. This pass grants access to the following classes: All Levels Yoga, Power Yoga, Power Yoga Flow, and Restorative Yoga. Participants MUST PRESENT PASS to the instructor upon entrance into any yoga class. PILATES REFORMER All classes are open to both C&RC Members and Non-Members age 14 and older. Participants may register for a session or pay per class. Class size is limited to 4 participants, so registration is strongly encouraged. • Registration Fee (per class): $16 Member/ $18 Non-Member • Drop-In Fee (per class): $18 Member/ $20 Non-Member No coupons are accepted for Pilates Reformer classes. Prior to utilizing the strength equipment in the Fitness Department, children ages 14-15 years old are required to complete the Intro to Strength Orientation. This guided orientation will demonstrate appropriate ways to utilize all equipment as well as explain the general rules of the Fitness Department. A registration form and waiver must be completed and returned to the control desk. An instructor will be in contact to schedule a day and time to complete training. Based on the training principles of D.A.P., Mini D.A.P. is suited for children age 8-11 seeking opportunities to improve their overall athleticism. Class day and time TBA. Group Exercise Free Trial Week: August 26 – September 1 All land and water-based group exercise classes (excluding Pilates Reformer I and II) are free for C&RC Members and Non-Members. Class space is limited. DANCE CLASSES All classes are open to both C&RC Members and Non-Members age 14 and older. Classes are free for C&RC Members. Non-Members may pay a $5 per class drop-in fee. Interested in boxing? Private lessons are available for both youth and adult. Please contact Cari DelGreco x 623 for more information. BOOMER & SENIOR CLASSES All classes a r e open to both C&RC Members and Non-Members age 55 and older. Classes are free for C&RC Members. Non-Members age 55 and older must pay a $5 per class drop-in fee. USC Community Day- Panther Land Color Run/Walk for Fun Registration Form Saturday, May 18, 2019- 9:00 AM Start at USCHS Stadium (Truxton Rd Entrance) Please complete one registration form per participant. **No registrations will be accepted after 8:15 AM day of race. ***ONLY cash or check made payable to Upper St. Clair Recreation will be accepted day of race. A limited number of shirts will be available for purchase at $8 per shirt. Consent Release Form: I agree to hold the Township of Upper St. Clair, Upper St. Clair School District, the Community Day committee and volunteers, and/or any employees of thereof harmless and blameless for any accident or injury which may occur while participating in the Run/Walk for Fun. Please return completed form and payment to Community & Recreation Center 1551 Mayview Rd Upper St. Clair, PA 15241. For complete information, visit www.usctdp.com or contact USCTDP at 412.831.2630. Family discounts available - Call for details. Mail to: USCTDP, Inc. 37 McMurray Road, Building 1, Suite LL1, Pittsburgh, PA 15241 or e-mail us at tennis@usctdp.com. In consideration of the Township of Upper St. Clair granting me, and those listed on this form, permission to engage in recreational activities, below signed does hereby waive, release, save, and hold harmless and indemnify the Township of Upper St. Clair, its employees, agents, and independent contractors for any and all claims for damage or personal injury to me or loss of property which may be caused by any act or failure to act on the part of the Township of Upper St. Clair, its employees, agents, and independent contractors. To the best of my knowledge, the listed participant is of normal health — having no allergies, physical defects, or illness that would require him/her to abstain from a normal program of physical activity. Photo Release: By registering for any USC Recreation program, class, or event you are agreeing to allow publication of any photos taken of you and or your child(ren) at any program, class, event, or facility of the Recreation Department. NOTE: RELEASE OF CLAIMS - Please read and sign below. In consideration of the Township of Upper St. Clair granting me, and those listed on this form, permission to engage in recreational department activities, the below signed does hereby waive, release, save, and hold harmless and indemnify the Township of Upper St. Clair, its employees, agents, and independent contractors for any and all claims for damage or personal injury to me or loss of property which may be caused by any act or failure to act on the part of the Township of Upper St. Clair, its employees, agents, and independent contractors. To the best of my knowledge, the listed participant(s) is of normal health â&#x20AC;&#x201D; having no allergies, physical defects, or illness that would require him/her to abstain from a normal program of physical activity. Photo Release: By registering for any USC Recreation program, class, or event you are agreeing to allow publication of any photos taken of you and or your child(ren) at any program, class, event, or facility of the Recreation Department. Quick, Convenient, and No Additional Fees!